Nature is gifted with numerous nanomaterials which could be simply prepared from plant materials. Agricultural waste (waste produced on a farm through various farming activities) includes both natural and nonnatural wastes. In the agricultural residues, refuse and wastes create a significant amount of worldwide agricultural productivity. It has variously been estimated that wastes can account for over 30% of worldwide agricultural productivity. 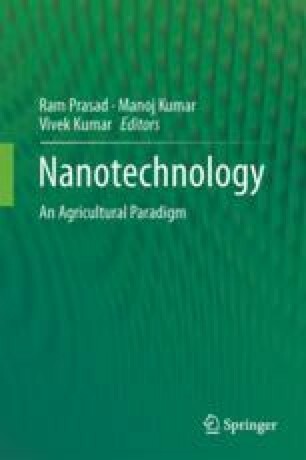 The goal of this chapter is to assess the most recent trends to produce bionano nanomaterials from agricultural waste. Nanocellulose extraction from agricultural wastes is a promising substitute for waste treatment, and a few more wide applications of nanocellulose in biological science are much expected in the near future. The most salient nanocellulose applications in this chapter deal with the production and support matrices for enzyme immobilization, biosensors, and antimicrobial agents. Silicon nanoparticles concluded to be one of the elite compounds for the enhancement of agricultural yields.